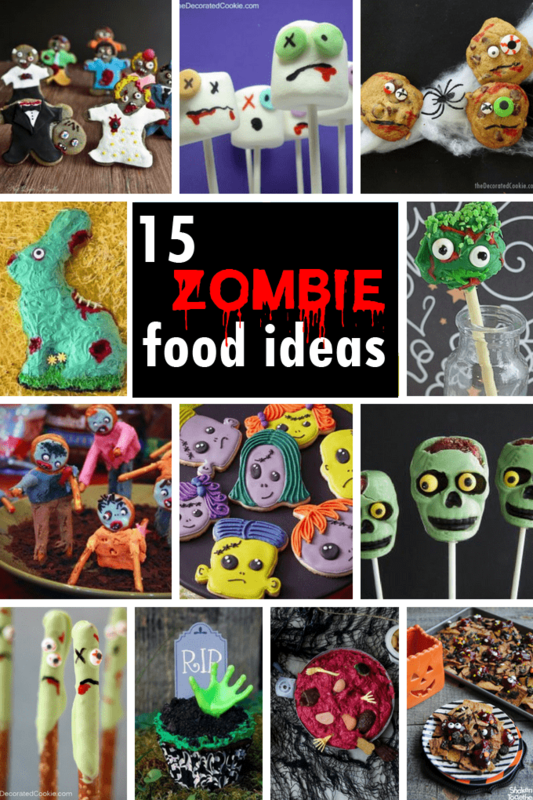 15 zombie food ideas for your Halloween party! Or The Walking Dead viewing party? ZOMBIES! I used to cringe at the notion of their possible existence, but after I got through the first episode of The Walking Dead (it took a few tries, but I’ve become inured to the gore after so many seasons), now I’m pretty sure I could take them on. Oh, who am I kidding? I’d hide in the bathroom with my Oreos and box of wine. But zombie food ideas? That I can handle. They can be either cute or scary, so that works for Halloween party food. Or a Walking Dead party. Or just if you’re really into zombies. 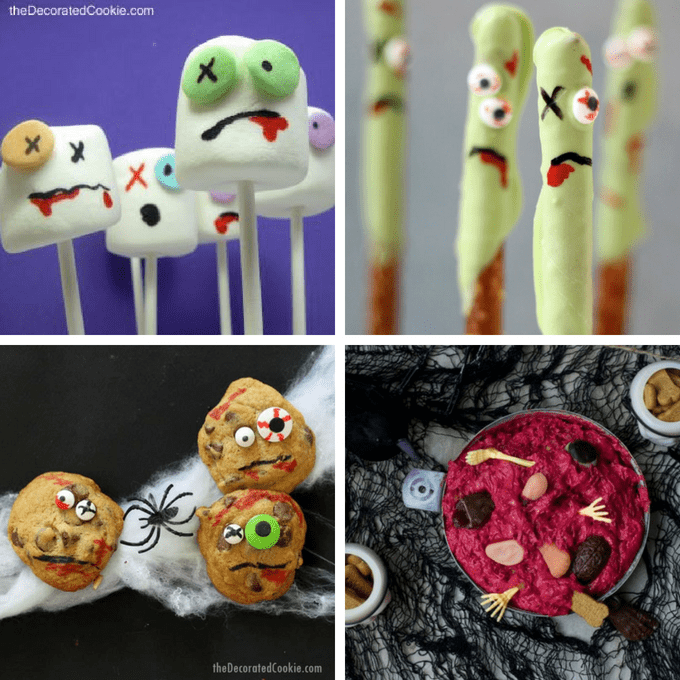 By the way, these zombie candy pops and zombie chocolate chip cookies came after this roundup, but they would make good additions to the 15 here. 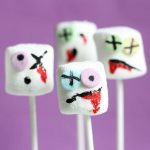 These are one of my most popular posts ever: Zombie marshmallows. 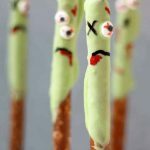 A close second are these zombie pretzels. Or try zombie chocolate chip cookies. Geez. I make a lot of zombies. Make zombie dip at Oh Sweet Basil. Easy zombie cupcakes at Zombie Wagon. I seriously love these zombie pretzel creatures at Synder’s. 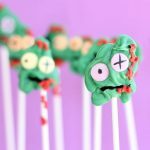 Awesome zombie cake pops at Cake Journal. Ha! A zombie bunny cake at Hungry Happenings. 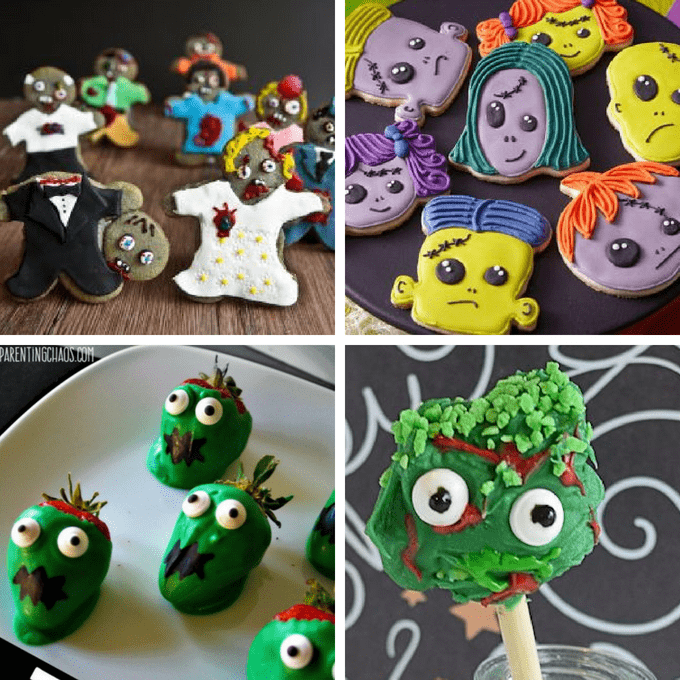 Check out these incredible zombie cookies at Not Quite Nigella. 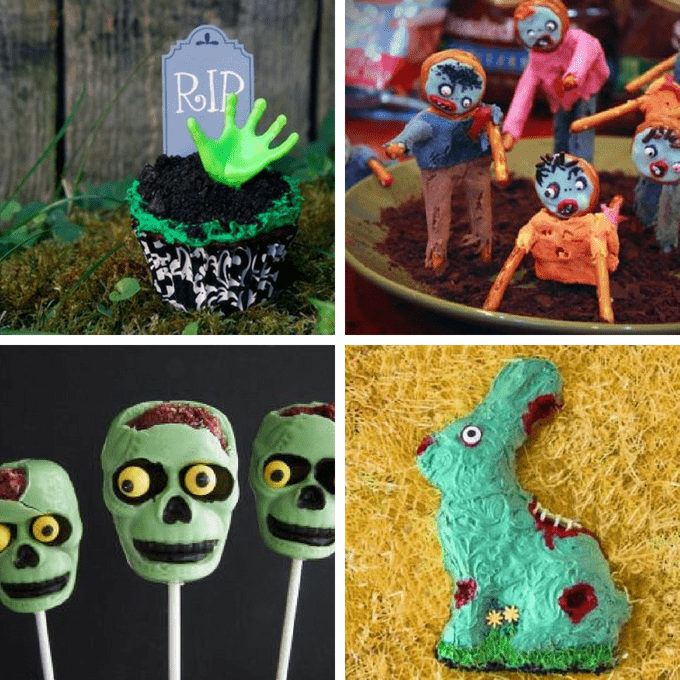 Make more zombie cookies at Wilton. More zombie cake pops at Mother’s Home. 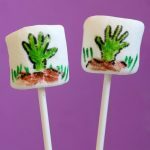 Make zombie strawberries at Parenting Chaos. Clever zombie nachos at Shaken Together. Creepy! A zombie graveyard cake at Serious Eats. Mix a zombie cocktail at Celebration Generation. I love all these gorgeously gory zombie ideas! 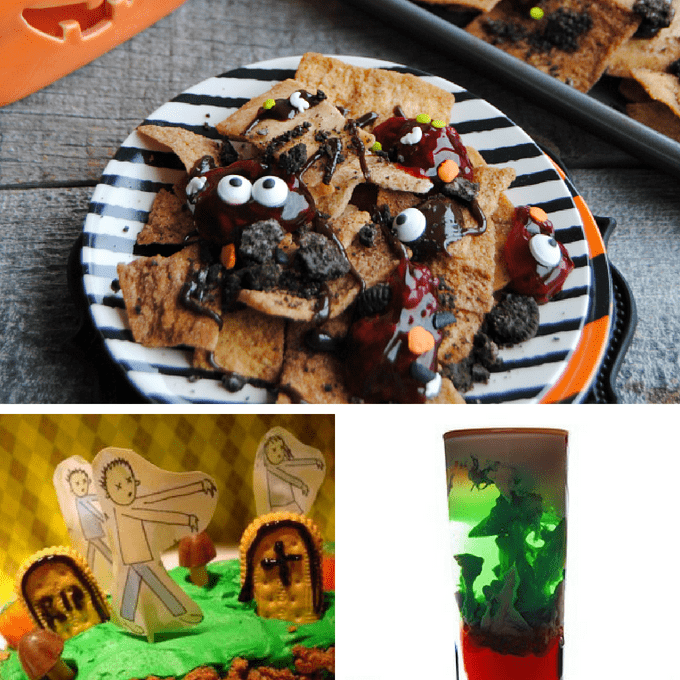 Thanks so much for including my Zombie Nachos!! I LOVED them! So freaking clever!